Gulet crewed yacht charters in Bulgaria. 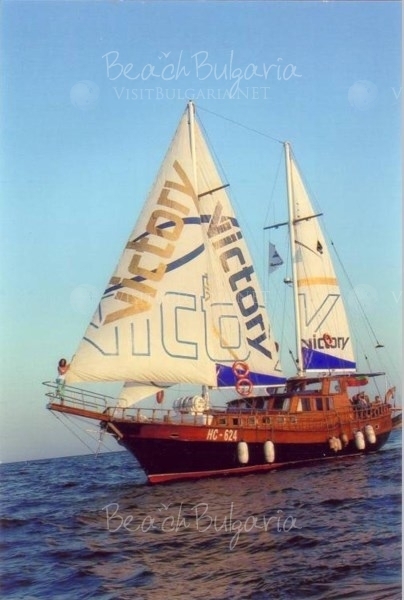 Rent a gulet and sail the Black sea. Navigation & Electronics: GPS, chart plotter, fishfinder, radar, VHS-UKV DSC, SSb, DSC, telex, EPIRB, SART, electricity - 12024-220V on the pier, etc. Compass, batterycharger, TV, video, Radio - CD player. All inclusiveBest deals Via Pontica Resort Pomorie Get free overnights - 14=12, 7=6!